For the second time, an actor had their speech interrupted at the Safta Awards. Anthony Coleman of High Rollers took home the Best TV Actor in a Drama gong, beating out Isibaya’s Siyabonga Twala who was heavily tipped to take the award. "@sitholevd: #SAFTAs11 Really now? Best actor?…. that guy who lost his Job in December. pic.twitter.com/T8ReGoKb4v"???????? Though this wasn’t the only reason Coleman’s speech set tongues wagging. As he was accepting his award, he mentioned embattled SABC group executive Hlaudi Motsoeneng. The show that Coleman had won an award for, High Rollers was cancelled by the SABC last year after two seasons. It has won several awards at the Saftas with Coleman taking one of the top prizes of the evening. 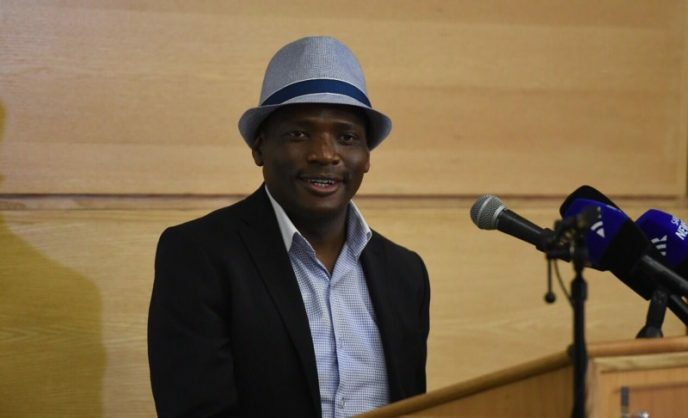 It is understood that during his tenure as COO of the SABC, Motsoeneng would interfere in the scheduling and financial management of TV shows. Motsoeneng is said to have intervened when 16 Generations cast members were axed a few years ago. He also reportedly called for Uzalo to be aired five days a week and channeled millions in SABC funding towards the show. During his speech Coleman said it was ironic that at the same time he lost his job in December 2016, Motsoeneng also became jobless after the Western Cape High court declared his appointment at the SABC invalid. Coleman asked why this all happened at the same time. Just after mentioning Motsoeneng’s name, the technical team at the Saftas began playing music, effectively making it difficult to hear what Coleman was saying. Earlier during the evening, Kaya FM radio host Bob Mabena also took a jibe at Motsoeneng though this was allowed to air without disruption. It is not clear if Mabena’s comment was apart of the script.